The study of Film as an academic discipline is, when compared to English, more or less brand new. Twenty years ago the study of Media (let alone Film) in schools and colleges was unknown here in the UK, although several Universities made it available. The resultant growth in academic qualifications related to Film has increased the cine-literacy of the population, thereby stimulating more varied DVD releases and the proliferation of books in local libraries that would never have been stocked previously. There has also been an increase in young people interrogating texts to a greater degree, thanks to the possibilities the Internet and sites like IMDB have provided. However, is there a risk of over-saturating a market with another academic book such as that to which Maria Pramaggiore and Tom Wallis have given their names? The focus of Film- A Critical Introduction is not after all new- the book Film Art , in essence, attempts to do much the same thing in highlighting specific examples within a general recognition of cinema history. The question is perhaps better put thus- what does this book offer that others (including Film Art ) do not? To answer this question, it is first worthy of note that this is not a new film book per se but a new edition of an existing (2005) publication. This new edition is divided up into three parts with each being further then sub-divided into chapters which are numbered in linear fashion as the book progresses. The specific content of the first part of the book- ‘Introduction To Film Analysis’- is rather a strange one, for it is a ‘hodge-podge’ of historical background, comments about generic expectations and ultimately focuses on writing about film in a serious manner (as with the ‘common rhetorical approaches for papers involving research’ on page 44). Given that the second part of the book (titled ‘Film Analysis’) then goes on to take a more structured look at areas such as narrative before turning its attention to film form, one cannot resist feeling that we have a ‘chicken and egg’ scenario here- or, at the least, the finished dish served up in part one prior to the unveiling of each of its ingredients in part two. Part two of the book (‘Film Analysis’) undoubtedly contains more academic ‘meat’ than the vegetarian option that is part one. However, the ‘meat’ has the dubious distinction of being inclusive (films that have open endings are conveniently listed on page 76, therefore allowing the reader/viewer no probability of being surprised when they get around to seeing these movies) yet also a little dismissive (The Lady In The Lake, an intriguing experiment in truly first-person narration, is curtly deemed ‘not sufficient’ on page 77). Thus, the problem of such a book as Film- A Critical Introduction emerges- if it looks (as the book attempts to) across a vast array of films the reader/viewer will have their blissful ignorance rudely broken, especially if key aspects to the films under discussion are helpfully outlined. The other option for the book would have been to include detailed case studies of certain filmic texts after a general theoretical framework, probably the better of the two choices, if not the one designed to attract a general audience wishing to understand more about film. It has to be said at this point, however, that the book is appealing in its proliferation of stills, many in colour, which are used as effective back-up material to the text, and does strike the initial appeal necessary to investigate further. The text itself is well-organised (if at times a little ‘busy’ as stills, special text boxes and ordinary text all complete at times for space on the page) and provides the appropriate contrast of information and education. If there is a problem with part two it lies in the slippery nature of film itself- some mention is made of certain filmic styles (such as French New Wave and Soviet montage cinema) and some exposition attempted. This, however, has the effect of being served lots of delicate morsels at a buffet- you appreciate being given the variety but have too many different flavours to enable you to fully comprehend exactly what it is that you are eating. Though obviously well-intentioned, perhaps a more constructive approach would have been to first discuss the Classical Hollywood continuity model (in a few significant films across the 1920s, 1930s and 1940s for example) before looking at variances on this style that emerged through national cinemas and differing approaches. The final part of Film- A Critical Introduction is entitled ‘Cinema and Culture’ and takes a sprint through social context, ideology, stardom, genre, authorship and industry. Like the rest of the book, this segment proves varied and never gives the reader the opportunity to be bored, but (again like the rest of the book) rehashes some ground (such as genre) be it in a slightly different way. In conclusion, Film- A Critical Introduction is a highly ambitious effort to produce a new edition of a book which includes both more detailed and more up-to-date examples and an increased amount of illustrations. The book is also an inviting one, well produced and comprehensive, with a useful glossary, bibliography and index concluding its tome. The downside to this praiseworthy effort is the structure of the book and the sheer amount of information contained within its pages- it overwhelms rather as an over-filled table does, however hungry the prospective diner. For the academic there is much good reference material on show in Pramaggiore and Wallis’ book, but the general reader (looking for the literary equivalent of a quick sandwich) may find its coverage more of a vastly sumptuous spread, for it can be possible in life to have too much of a good thing. 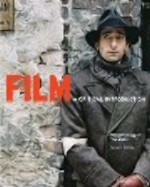 'Film- A Critical Introduction' is published by Lawrence King.